The day finally came- our trip to Walt Disney World. I had been counting down to this trip for a few months. I began planning the trip in April and finally booked everything in June. It was a 5-day, 4-night trip with my two kids and my mom, staying at my favorite resort, Wilderness Lodge (thanks, Mom, for picking that one). So as I said, the day finally came. 4:30 am came pretty quickly that morning, but for once, it was easy to wake up and get moving. I had places to go and people to see! The kids woke up without a problem either. on this trip. It was bittersweet getting on the plane, as I knew I would miss Ryan, but I was going to the Happiest Place on Earth! Our flight was smooth, and we arrived early! I knew right then that it would be a great trip! 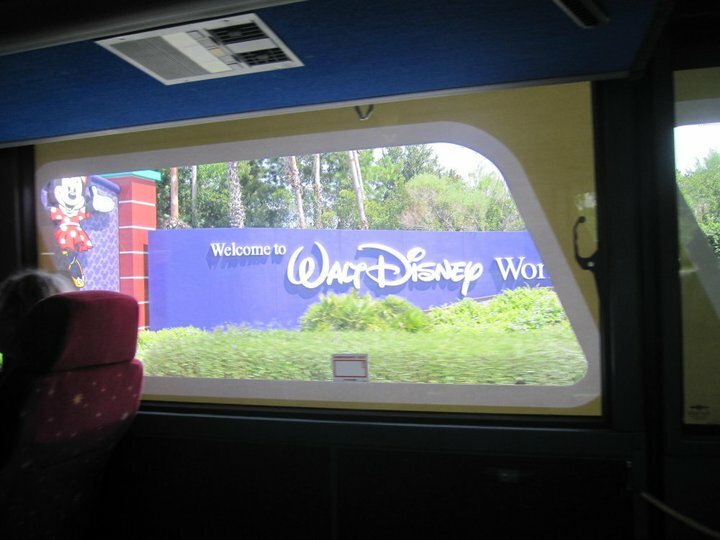 We landed and headed to Disney’s Magical Express! As I suspected, the first fight of the trip broke out on the bus between the two kids, when they both wanted to sit in the same seat on the bus. It was deja vu as this same fight broke out LAST time we went to Disney World. 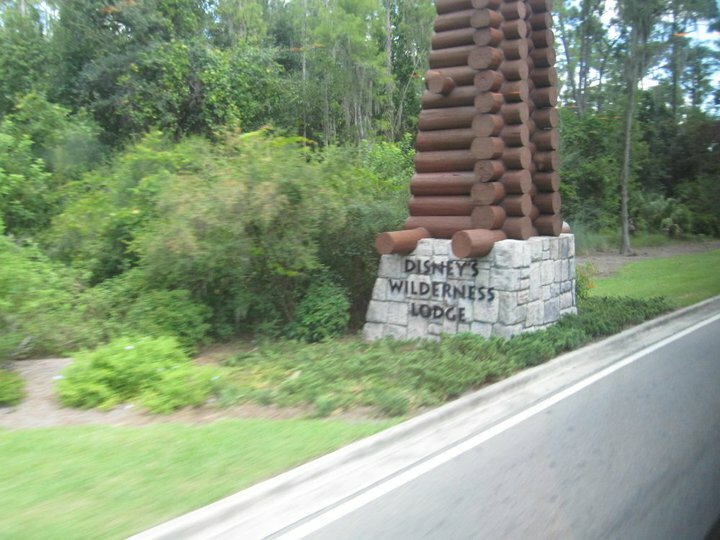 After stopping at the Grand Floridian and the Polynesian, it was off to Wilderness Lodge. Walking in there, I felt like I was going home. I just love that resort. My mom had never seen it, and she was very impressed! We checked in at about 12:30 without a problem, and my mom was issued her Happy Birthday pin, which was a great surprise for her! And luckily, our room was already ready! We headed up to room 6012 to put away our stuff. The kids loved the bunk beds, and to our surprise, we had a beautiful view of the castle and the Contemporary from the balcony! We went down to Roaring Fork for a quick bite to eat, and then we let the kids go have fun in the great Wilderness Lodge pool for a bit. Riley loved going down the slide, and she did it several times! Jack was having fun in the wading pool. Then it was time to go get ready to head to Magic Kingdom to have dinner and meet up with some fantastic people! We went down to the dock, and the boat was there, just like it was waiting for us. We got to the park, got my Annual Pass and Tables in Wonderland and headed in. One of the best parts of any trip is the very first time I see Cinderella’s Castle. It always brings tears to my eyes, and this time was no different. We had a few minutes to walk around before we were supposed to be meeting up with my friend, Jim (@jimgarth), at Tony’s Town Square. things to say about Jim! After dinner, we decided to head to Adventureland to go on Pirates and Jungle Cruise. By the time we made it to Jungle Cruise, Riley had warmed up to Jim considerably, and she selected him to sit next to her on the ride. 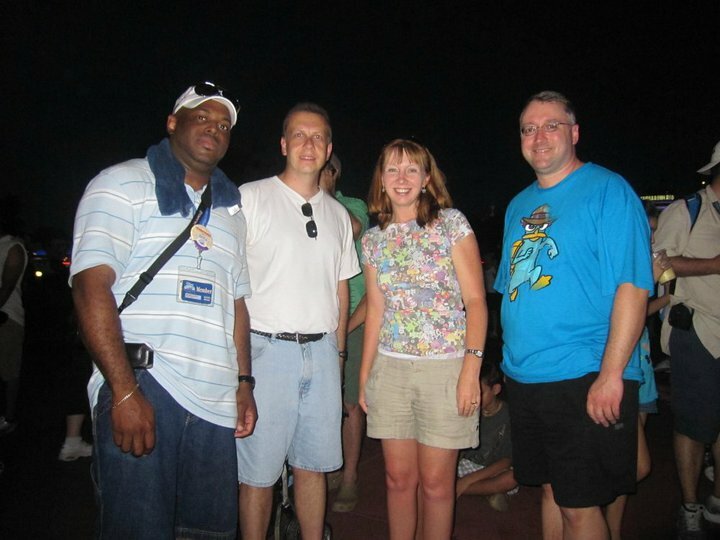 When we got off of Jungle Cruise, we met up with Shaene (@shaene_o_mite) who was Jim’s roomie for the weekend! Shaene was another one I hadn’t met in person, and I am so glad that I was finally able to! He was fantastic with the kids, and Jack especially has a special affinity for Shaene. We headed over to the PeopleMover in Tomorrowland, and Riley got in the car with Shaene and Jim, so apparently they passed the Riley test! 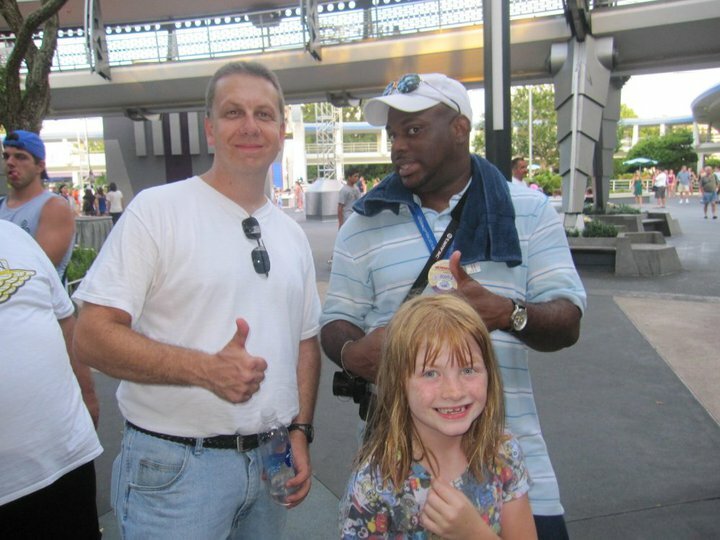 When we came down from the PeopleMover, we met up with Rob (@robw66), whose flight was late getting in to Orlando, but he finally made it! 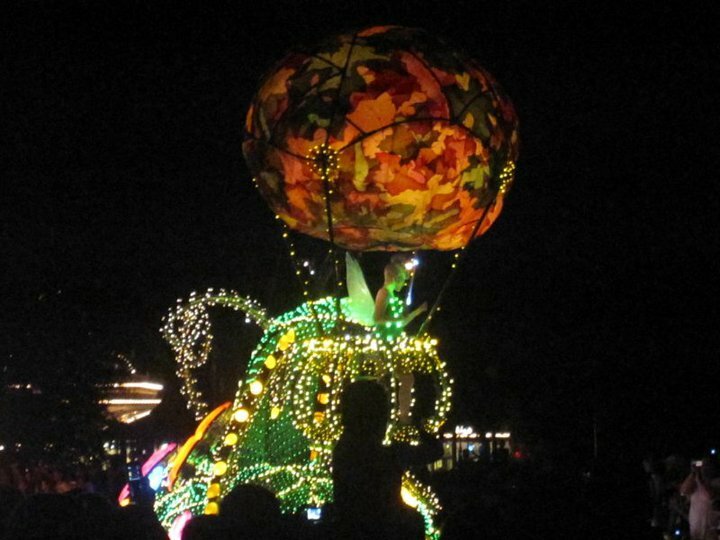 It was time to get ready for the Main Street Electrical Parade so we were off to find a good viewing spot. We stopped on the bridge between Tomorrowland and the Main Street hub so we could watch. There were a lot of people there, but we were able to see all of the beautiful floats. I remember watching this parade when I was Riley’s age, so it was great that she was able to see it. By the time the parade started, Jack had collapsed in his Grandma’s arms. It had after all, been a very long day. Wilderness Lodge to go to sleep. 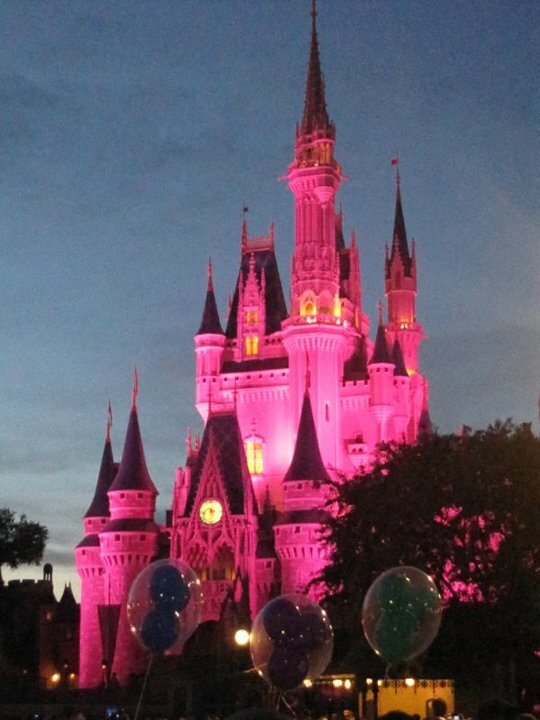 We had a long, exciting day the next day culminating in a huge Tweet-up before and during the Wishes Dessert Party! Stay tuned for more! This trip was a truly phenomenal trip filled with wonderful people. I can’t wait to tell you all about everyone! I consider myself so lucky to have all of them in my life! Day 2 to come! Shaenelyboo and Jim are good guys!!!!!! Sounds amazing!! I am so glad you all had such a wonderful time!